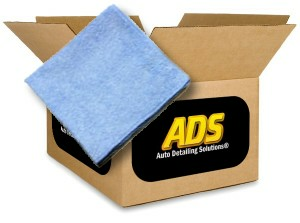 16" x 16" Blue General Purpose Microfiber Towels. 80/20 split microfiber towels can be used for a wide range of detailing tasks to include interior detailing, exterior detailing, windows wheels and more. Compare to other quality microfiber towels for under .95 per towel and save money!